Blow dry bodifying treatment creates all-over fullness, body & shape that lasts with 450° heat protection. *When using the Garnier Fructis Full & Plush System of Shampoo, Conditioner & Voluptuous Blow Out treatment. Do you want a beautiful blow out that looks and feels fuller and lasts longer than 1 day? 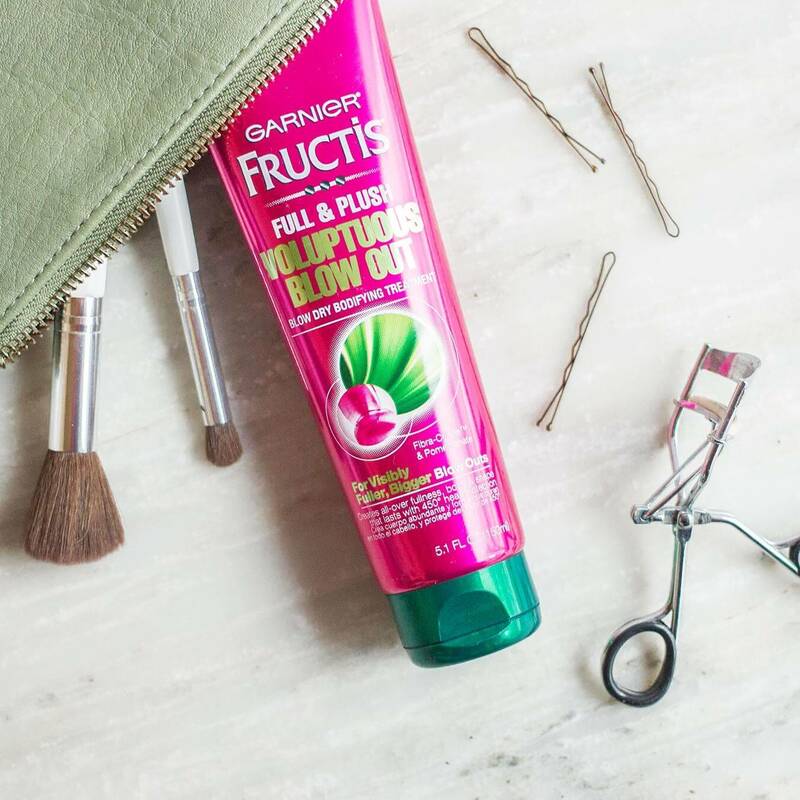 Formulated with Fibra-Cylane™ and Pomegranate, Fructis Full & Plush Voluptuous Blow Out perfectly shapes to create fuller blown out body that lasts. Apply a small amount evenly to towel-dried hair. While blow-drying, use a round brush and lift from the roots down to the tips to create voluptuous volume. 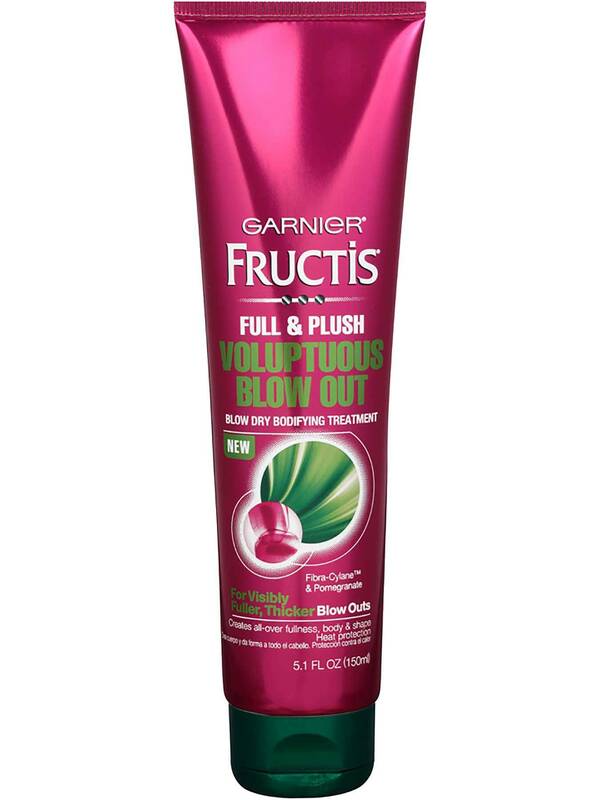 Use with the Garnier Fructis Full & Plush System of Shampoo, Conditioner & Ends Plumper Treatment. Rated 5 out of 5 by Darlamay from Bring it back! 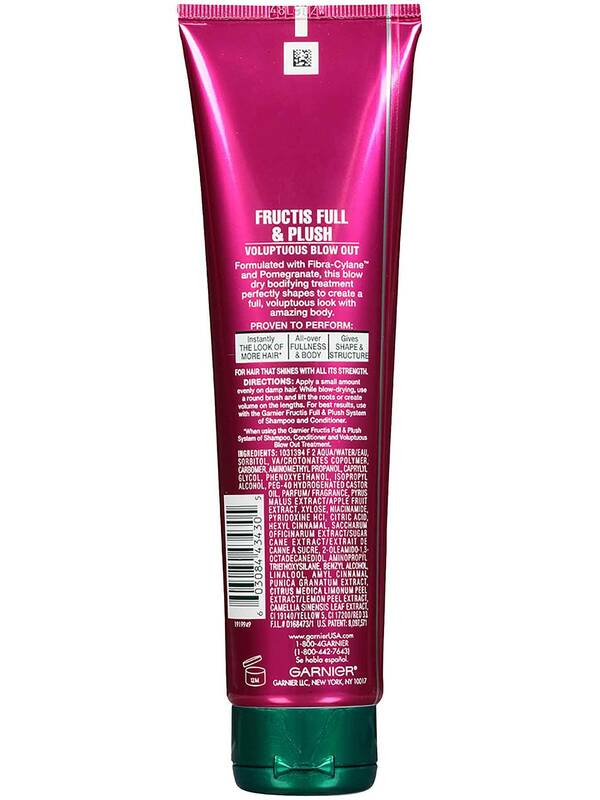 Can't find anything else that works this good on my hair...please bring it back! Rated 5 out of 5 by mindysb from The best styling product and the hardest to find I join with other reviewers to say please don't discontinue this terrific product - unless you're replacing it with something that, unbelievably, is even better! Rated 5 out of 5 by Ellyperez from Can’t find anywherw I live in Florida and have been looking to buy this product again. I have NEVER been so satisfied with a product for blow drying lile this. With the humidity in Florida this still makes my style look perfect. Please please please do not discontinue! Please!!!! I have recommended it to my friends and they have been asking where to buy as well. Rated 5 out of 5 by kempbarb from Best Soft hold for hair I cannot find this Super Great Product anymore. Like the other comments. Let's hope this has not been discontinued. Rated 5 out of 5 by RNmommaoffour2015 from The best product!! This product goes on smooth and works so well! It makes your hair soft and full. It is not heavy or oily like most products that promise volume. My hair is fine so it is impossible to find a product that works for my hair. PLEASE do not discontinue!!! I cannot find it anywhere and wish I had bought 10 bottles of it! Rated 5 out of 5 by Heidi0920 from AMAZING PRODUCT! I have been using this product for years! CAN'T FIND IT. PLEASE DON'T DISCONTINUE! Why can't we purchase it anymore? Rated 5 out of 5 by NCJC from Wonderful waves! When I use this on my hair, it makes my hair not only thicker, but it brings out more of the natural wave and curl my hair has. The product goes on so easily and is not heavy, greasy or oily. It handles very well and Lasts! My hair looks Great until I wash it again. I also use the shampoo and conditioner by Fructis. I wish you would bring this product back or make something else like it, Please!